Birra – Italian Craft Beer serves 19 different kinds of tap beer and also a great variety of Italian cheeses, cold cuts and appetizing sandwiches. 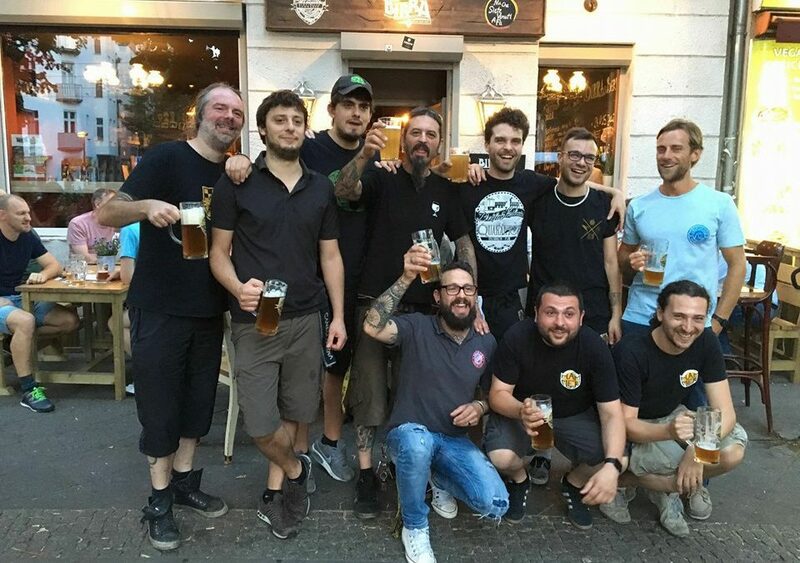 Birra: the best Italian craft beers in Berlin are here! There are places where you instantly feel at home, and it’s not a matter of being Italian or not, you feel comfortable when you come into a bar and you come across a smile behind the counter or you hear a background idle chattering that makes you feel you are not alone. This place is Birra-Italian Craft Beer where professionalism, passion and enthusiasm are at your service. Read the article in Italian and German. Birra-Italian Craft Beer officially opened on 30th April 2016 and since its opening experts in the field and people who love drinking beer have come to taste the specialties that this place serves. Everyday you can try 19 different types of beer served with a special selection of high quality Italian cold cuts and cheeses prepared by chef Silvio Grandi. Most of the beers are provided by Birrificio Lambrate (Lambrate Brewery in Milan), such as the legendary pilsner Montestella,that was the first one produced by Birrificio Lambrate in 1996, the Gaina, and also the Ipa Ambrata that is a peach and various aromas flavoured beer and then the Imperial Ghisa whose bitter cocoa flavour can be loved or hated, depending on your taste. The place is not that big: about 40 seats including tables and a counter. If the weather is good you can also enjoy the terrace overlooking Prenzlauer Allee. Birra often organises events like Birra e Porchetta, where you can taste the Italianporchetta (Italian spit-roasted pork) coming from the roman province, or Birra e cioccolato alla nocciola (Beer and hazel chocolate) that is a good match only if the chocolate is served with the Imperial Ghisa beer; they also offer tasting tours during the week that consist in more than one beer at a fixed price. When you talk about beer the only important thing is beer itself and here you can enjoy beer as much as you want.